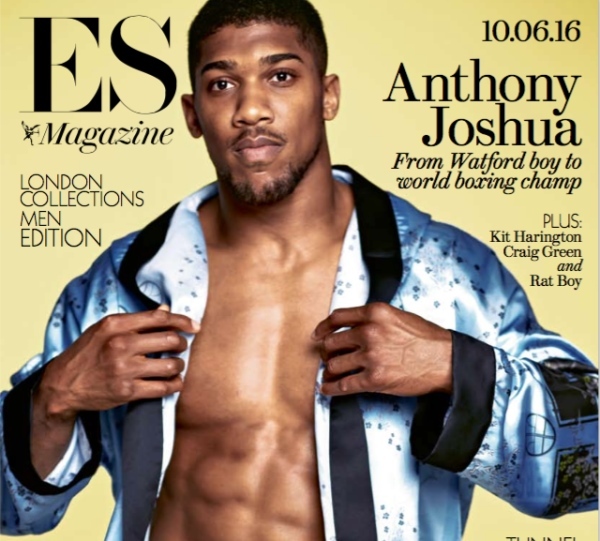 This week, ES Magazine meets world champion boxer Anthony Joshua. In a candid interview, Britain’s most promising boxer opens up about how Muhammad Ali inspired him in more ways than one, what it’s really like to fight a man for a living, and why a stint in prison made him realise he needed to change his rebellious ways. The 26-year-old from Watford also talks about his fears on the true dangers of boxing and why he only believes in equality between men and women up to a certain point. “There was a large crew of us, around 40 kids running wild. We couldn’t get into clubs as we were too young and we couldn’t get a job as we’d just finished school. We were bored. And what do young, bored men do? They get into… creative mischief. Well, that’s what I like to call it.” [Specifically, in 2009 Joshua was put on remand in Reading Prison for what he has described as “fighting and other crazy stuff”, and although released he was forced to wear a tag for a year]. [QUOTE=revelated;16775918]A joke. People are okay with 8oz of weed but not .07mm of meldonium. [/QUOTE] Weed isn't a performance enhancing drug.